Harrison Barnes has let many down so far this season. After breaking out in the playoffs last season and averaging 16.1 points per game, many expected Barnes to play like a stud this season. However, the second-year player has taken a step back. His scoring average has slightly improved, but that’s more so a product of added minutes. When we compare his statistical output per 36 minutes from last season and this one, it becomes obvious that he’s taken a step back. 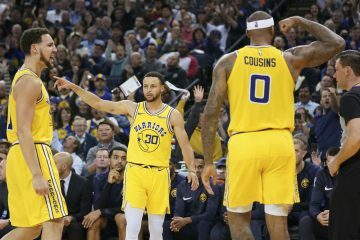 Barnes has lost some of his confidence, and as a result the Golden State Warriors’ forward is playing out of character. Barnes is forcing up shots on occasion, and he’s been less judicious when attacking the basket. Per NBA.com, Barnes is only converting 53.3 percent of his field-goal attempts in the restricted area. As a reference point, Klay Thompson (60.7 percent) and Andre Iguodala (68.5 percent) have been vastly superior. This partly explains why Barnes is only hitting 39.5 percent of his shots this season. Obviously personally, probably not that high because one thing I wanted to focus on coming into the season was consistency. I haven’t been able to accomplish that, but as a team, we’ve been able to do well. This is a man who should be dynamic on the wing in transition and, as a second-unit player, abusing wings in the post (he has the potential to have a strong post game). But it’s just not happening. Barnes is only 21, and still growing into his body, so there is hope for him. Perhaps we’ll see another postseason surge from him. Well, Thorpe left Barnes out of his top-20 (!) NBA sophomores. The likes of Kendall Marshall, Draymond Green and Jeremy Lamb are all on that list. The Barnes issue is fascinating and complicated at the same time. If we were simply to forget his postseason performance from last year, his numbers are close enough to his rookie year that this shouldn’t inspire a huge debate among Warriors fans. Barnes has been pressing throughout the season, and this seems like it has happened because of his demotion. It’s an interesting ongoing development given that he is actually getting more minutes than last year. This suggests that the issue is not Barnes’ role, but rather his approach to it. Barnes’ production as a starter has basically mirrored what he’s done as a reserve, which seems counterintuitive. One would have expected him to perform better as a member of the opening five-man unit. With the starters, Barnes’ lone responsibility is to finish plays via a jump shot or attempt at the rim. On the flip side, as a bench player, head coach Mark Jackson has tasked him with creating offense through post-ups and drives, which are a little more difficult. Nonetheless, Barnes has basically submitted identical figures in both scenarios. 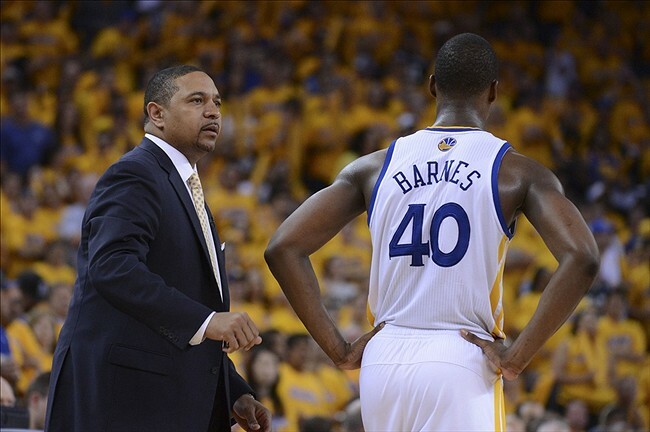 Whether we want to admit it or not, this version of Barnes might be an exact replica of the one we saw last season. We just refuse to admit it to ourselves because of heightened expectations. Poor coaching. They’ve mishandled Barnes from the start of the season. Most of his early minutes came with most, if not all, of the second unit. He struggled in that environment and lost confidence. He should have been coming off the bench earlier in the game and playing with 3-4 starters. In fact, they should have more rotations like this – blending starters with reserves.